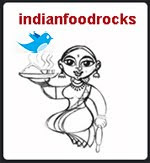 Shilpa of Aayi's Recipes visited us on the first of June. It was the best way to start a new month! We had met before -- at Thanksgiving dinner about 7 years ago -- but that was BI, Before Ishaan! And, what a cutie, he is! We met on the right day, too. It was the first Farmers Market of the season and also the annual Taste of Louisville. Ishaan showed off his soccer skills at our local Community Park and had a blast running through the sprinklers before we headed to Main Street for brunch. After brunch, Ishaan bounced through those big inflatable jumpy things, rode a live pony carousel, petted silly llamas, greedy goats and nosy alpacas while Shilpa and I strolled through the Farmers Market. 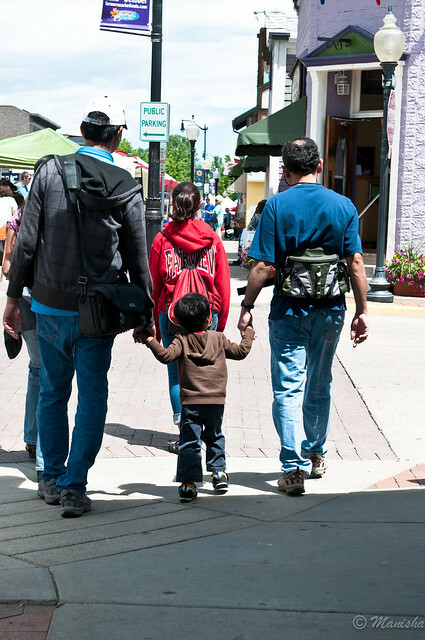 I won't be far off the mark if I said that this was probably one of the most fun days for Ishaan on their Colorado trip. I couldn't let the day end without giving him what he really wanted, a balloon. We had walked the entire length of Main Street but had found no balloon vendor. That made him very sad. But being the good boy that he is, he was preparing himself for the disappointment when I spotted a lone jewelry vendor, outside the perimeter of the fair, with a bucket of bottled water that had balloons tied to it. So, I did what any of you would have done in the same circumstances (even though Medha would have wanted to disown me, had she been with me). I went up to the lone vendor and asked her if I could have one of her balloons for Ishaan. It turned out that neither the bucket nor the water bottles belonged to her but she thought that it would be fine if Ishaan got one of those balloons. That made Ishaan's day and it was an excellent reminder of how you don't need the most expensive things to make a child happy. Or anyone else, for that matter. It was a wonderfully warm day after a brief but very enjoyable cold spell. But that soon changed to dry and hot. Which, in my state, indicates the start of the wildfire season. Soon, we had 5 wildfires raging, lives lost and, property and homes destroyed. On one such oppressive day, I wandered into Costco and sampled Banana Dippers. Frozen bananas dipped in chocolate. It tasted like nirvana, if at all nirvana has a taste and flavor. I knew I had to come home and make it. I had picked up dark chocolate at IKEA because it was such a good deal. And also because I used to be a Mork and Mindy fan. 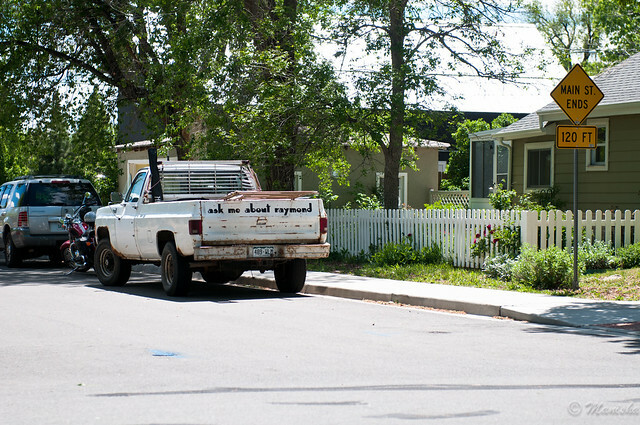 And also because the Mork and Mindy house is in Boulder. 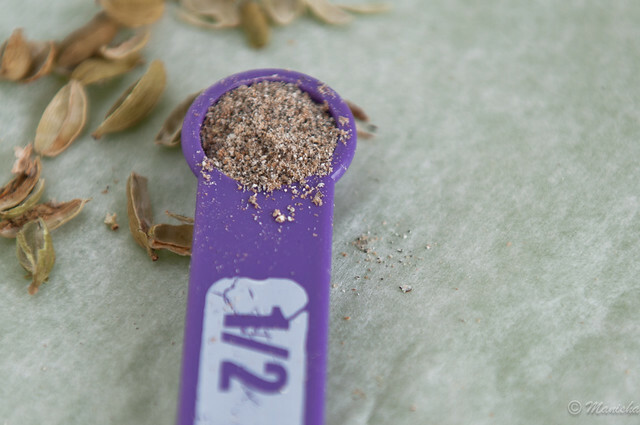 Yes, make your cardamom powder just before you need to use it for best flavor. Powdered cardamom in pretty spice bottles has next to no flavor. Buy green cardamom in small quantities, store them in a cool and dry place for up to a year, and crush them to a fine or coarse powder in your mortar pestle. Don't discard the outer shell of the pod. Toss those into the container in which you store your tea leaves. Your tea will have a mild aroma of cardamom. I laid the banana slices on a cookie sheet lined with parchment paper, sprinkled cardamom on them liberally and then froze them. If you haven't had this combination before, it's worth a try. The flavors are reminiscent of the prasad that is distributed after a puja, usually a sheera (like that in the stuffing for sanzori) without the carb overload. I winged through this recipe but I knew what flavors I had in mind. I added butter to the chopped chocolate and heated it in a double-boiler until it just melted. I pulled out the Cyprus sea salt a friend had sent me, and I knew what I had to do. 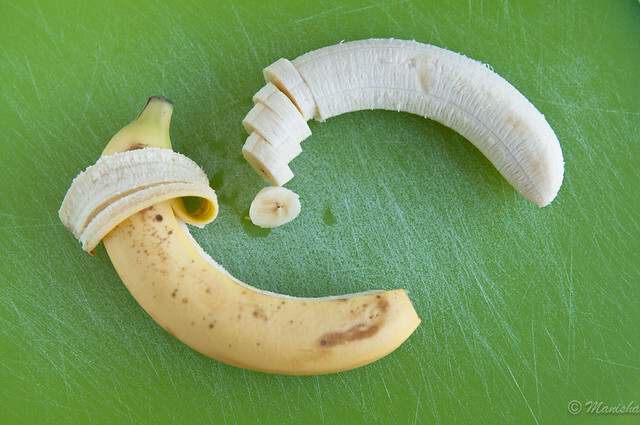 Peel and slice bananas into approximately half inch thick circles, not too thick nor too thin. Lay these slices out on the cookie tray and sprinkle cardamom powder on them. Not too much, not too little. 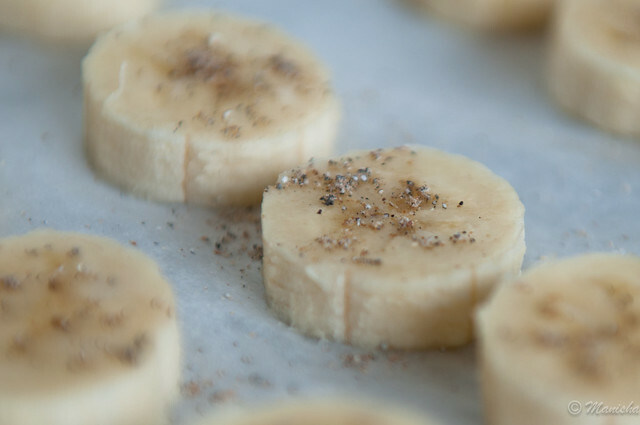 Put the cookie tray in your freezer for about an hour to allow the banana slices to freeze. 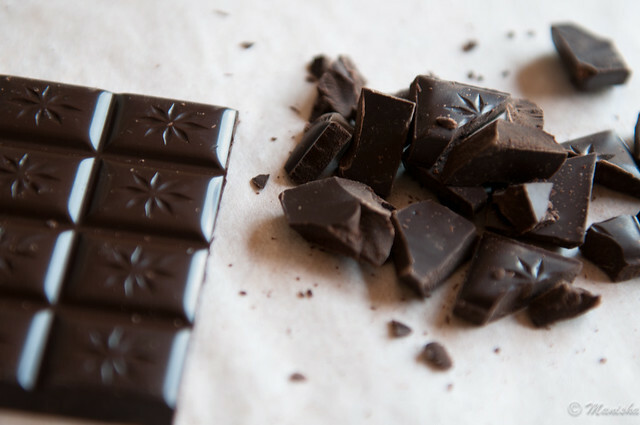 Break the dark chocolate into small pieces and melt it with 1/4 cup butter in a double-boiler. Slice or chop the butter into smaller pieces if it is cold. Set a cookie cooling rack on another cookie tray lined with parchment paper, for easy clean-up. Dip the frozen banana slices into the melted chocolate and place them on the cooling rack so that they are not touching one another. 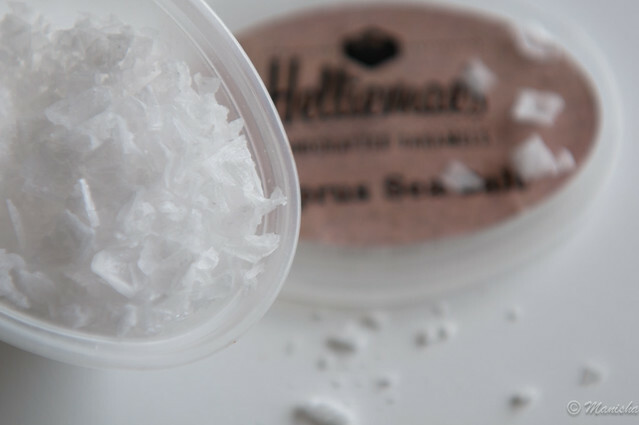 Garnish with chunky sea salt, pressing the sea salt lightly into the dark chocolate before it hardens. Put the cooling rack in the freezer so that the bananas do not thaw as the chocolate hardens. 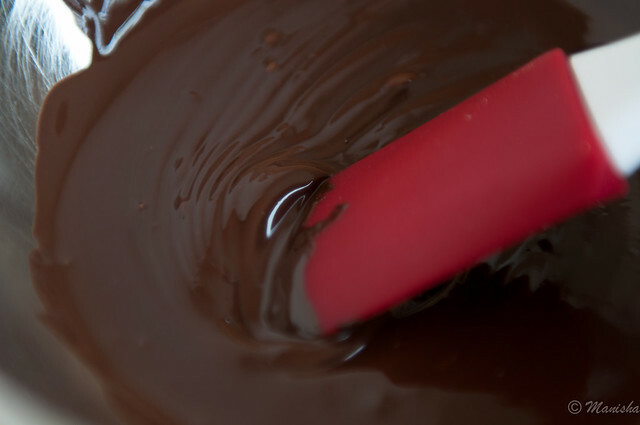 Once the chocolate is firm, about 15-20 minutes, pry the dippers off the cooling rack and store in the freezer in an air-tight container. 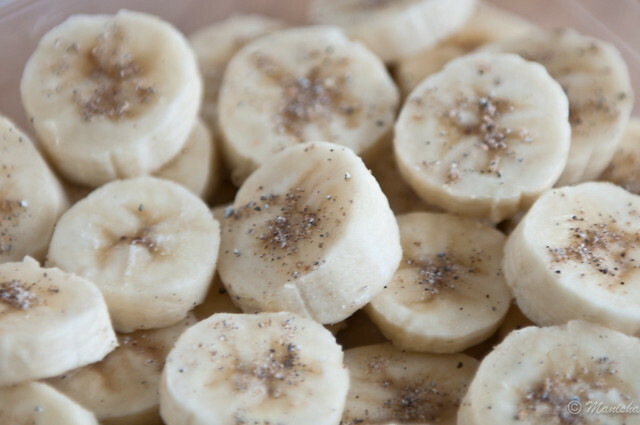 Alternatively, you could skip the chocolate entirely, and transfer the frozen banana slices sprinkled with cardamom powder into an air-tight container and store it in the freezer. Only pull out as many as you are going to eat just before you serve them. Bananas thaw very quickly in this hot weather and turn into mush. I usually make this with 6 bananas, on two cookie trays. I dip slices from one cookie tray in chocolate and leave the rest as is. With chocolate they are a huge treat. The salt and cardamom make this a more adult taste. 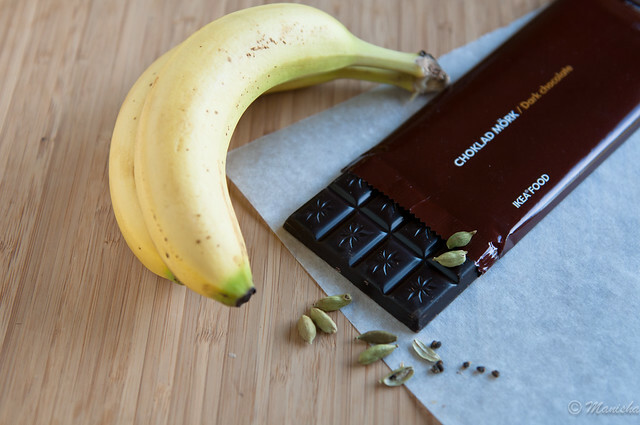 Without chocolate, they are a great way to eat your bananas without any added sugar. Use the fork and spoon technique (see video) to dip the bananas in chocolate and shake off excess chocolate. I wished I could have taken these bananas when we met up with Shilpa and her family. But these would have turned into mush by the time we reached the park or within minutes of pulling them out of the cooler. 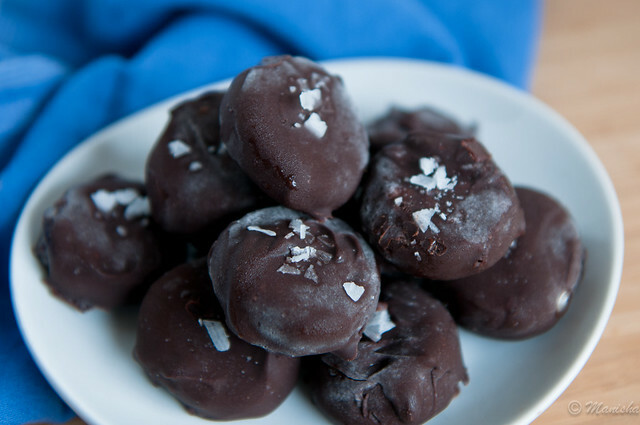 They are better eaten at home and within minutes of pulling them out of the freezer. If that is not possible, then serve them over ice to keep them frozen and chilled for a longer time. It was such a fun day Manisha. Yes, that day was one his favorite days, the only other day he enjoyed most was at the zoo. I have to thank you for both :). I will try those banana dippers, I think my little chocolate fan will love it. I saw a picture on FB, happy, smiley faces.What fun! I should like to try this for dessert. I don't think I have tasted a frozen fruit. Frozen bananas taste good?! I'd never have thought! Thought anything chocolate-coated can be only good. Good to 'meet' Shilpa and family! Out summer 'fires' here are now dowsed with the heavy downpour of an early monsoon! Relief! Wishing you some rain in the near future. such a fun idea manisha. I am going to try it for the get together this weekend. What a great idea this! Chocolate dipped banana dipped in cardamom! Wow. Must try this... Ishan sounds cute. What a sweet post. I bet it was the best day for Ishaan. , it truly was a fabulous day! Come back and visit us again! Sumi, it's a treat even without the chocolate! Manasi, never had a frozen fruit? Not even in popsicles? Those are the best ones! You should try it! Anita, frozen bananas are the cat's whiskers! If you blend them or put them in a food processor, they turn into mush and then whip up into a creamy consistency that can then pass as ice-cream. No jokes! It's wonderful! Mandira, I hope you liked them! Preeti, not diapers, no! Dippers! Poornima, he's such a good boy! He did not need to be fed at brunch and was just such a happy boy that it was a joy to be with him! Bong Mom, that's the one ingredient ice-cream that was all the rage a couple of years ago!